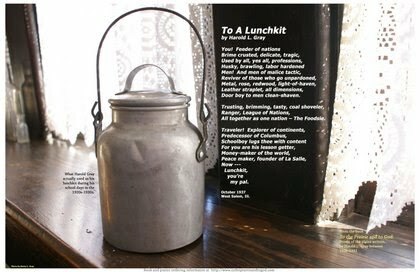 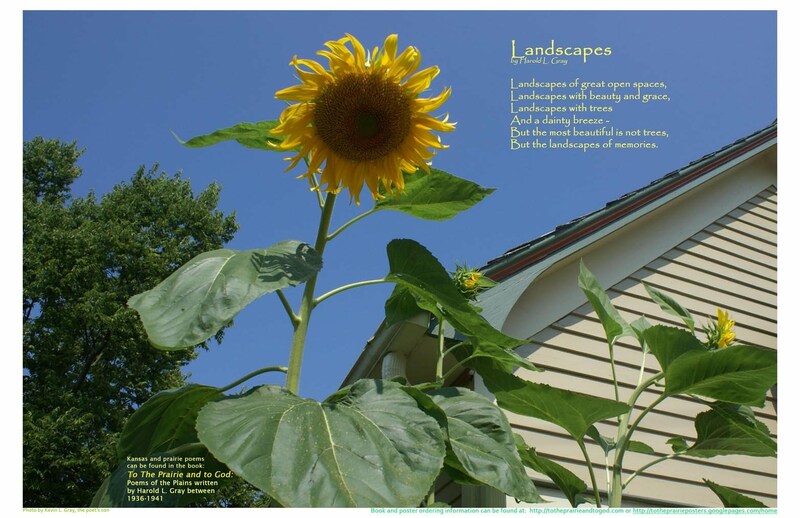 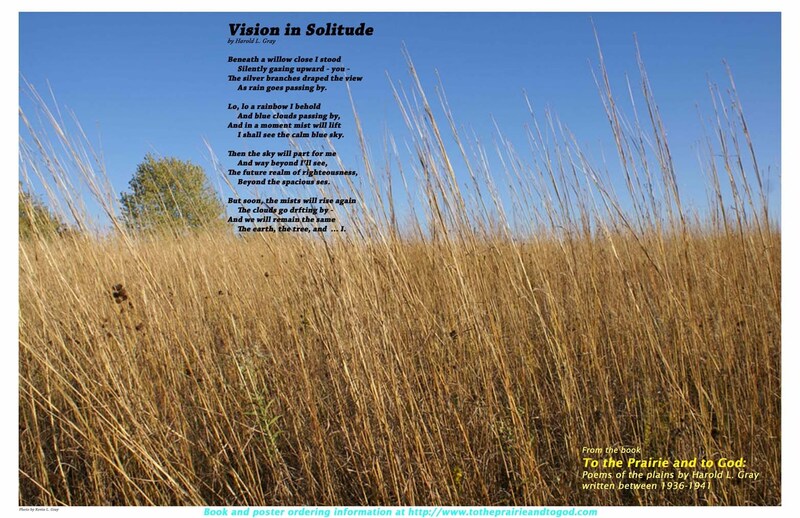 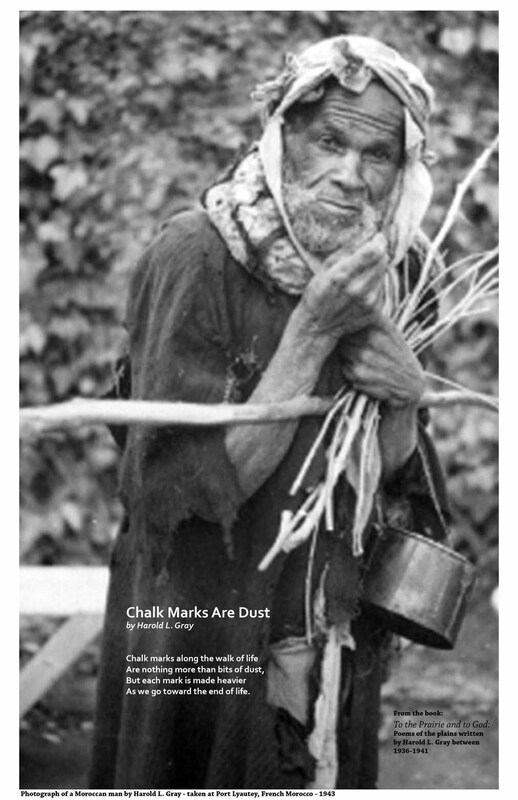 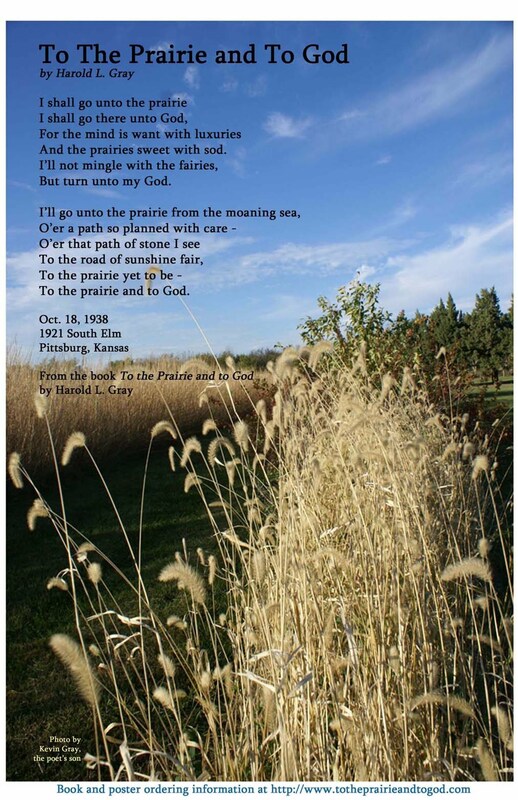 Poetry and photography of the plains: poetry written between 1936-1941 by a young and talented poet named Harold L. Gray and photography by his son Kevin L. Gray. 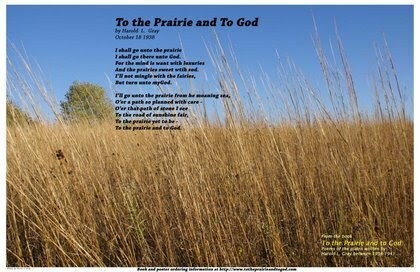 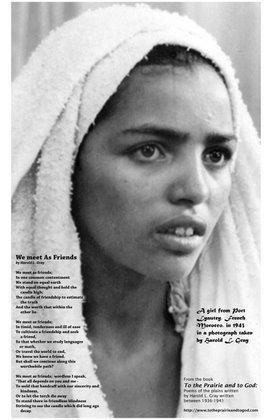 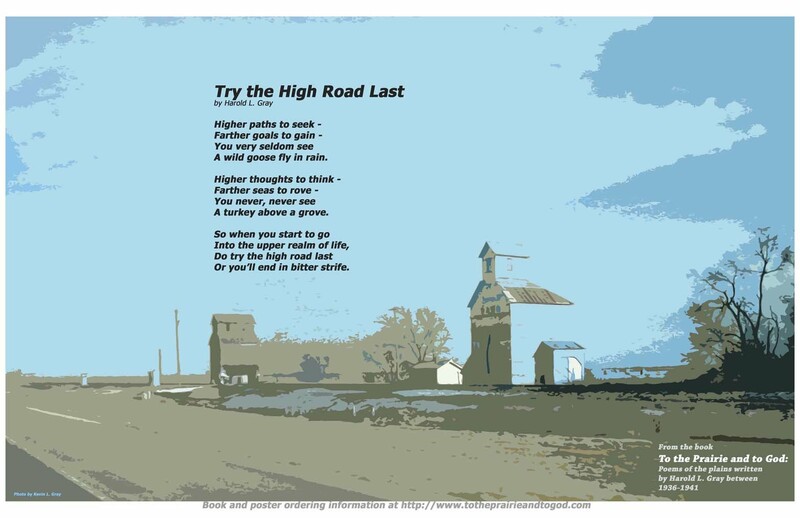 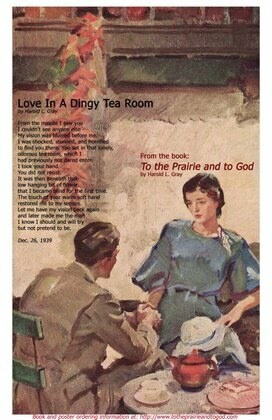 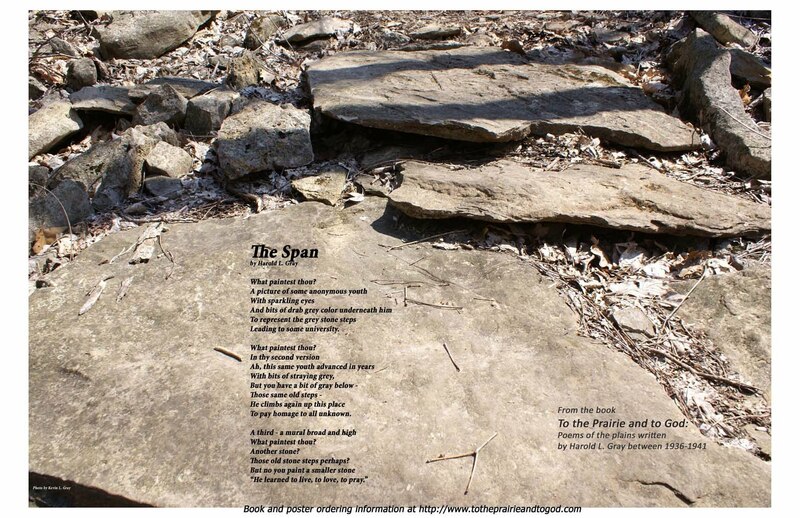 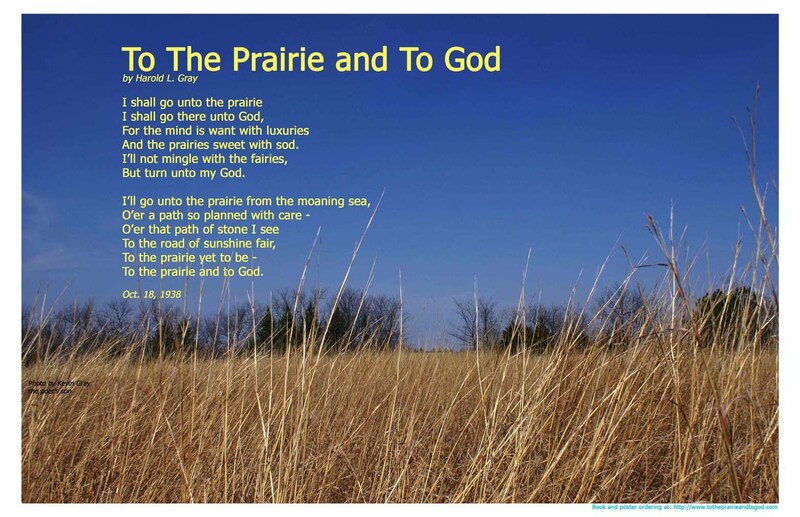 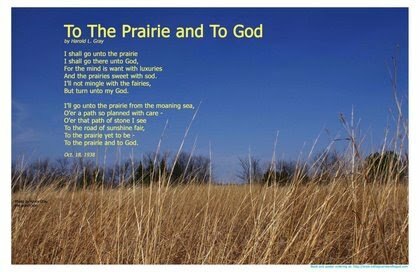 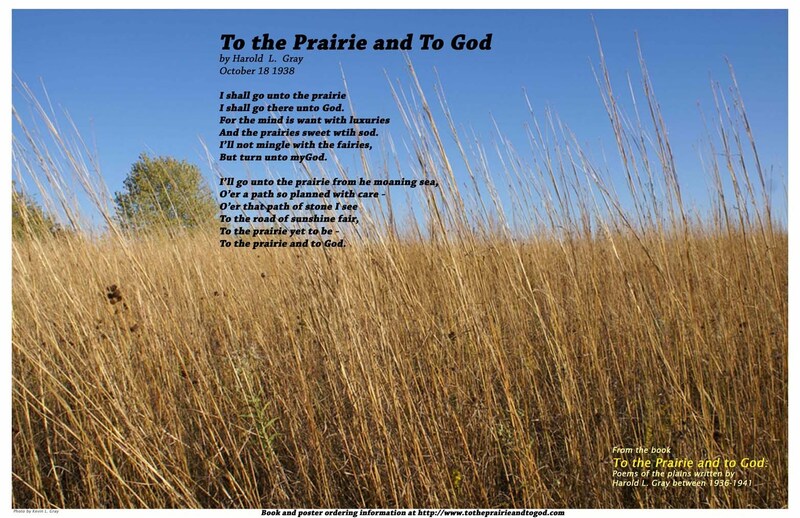 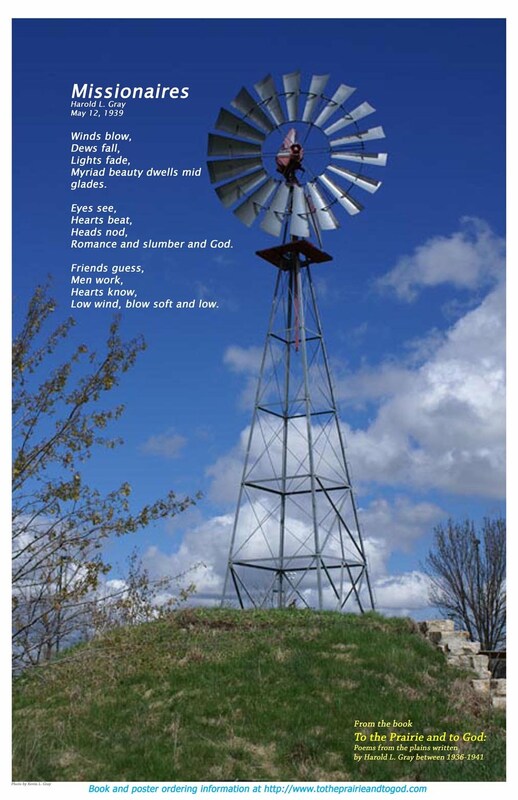 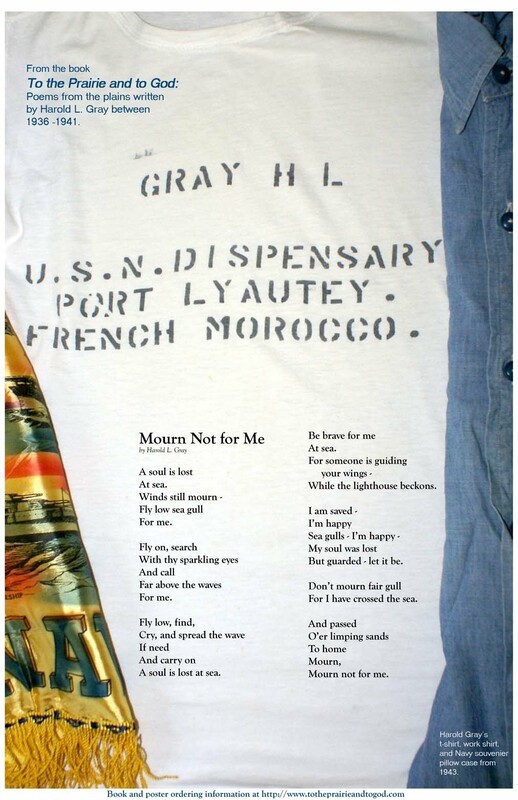 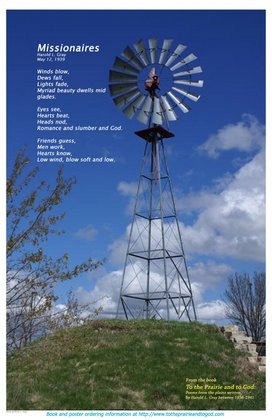 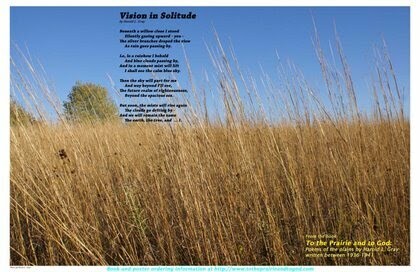 Poems taken from the book To the Prairie and to God by Harold L. Gray, published posthumously by his son in 2007. 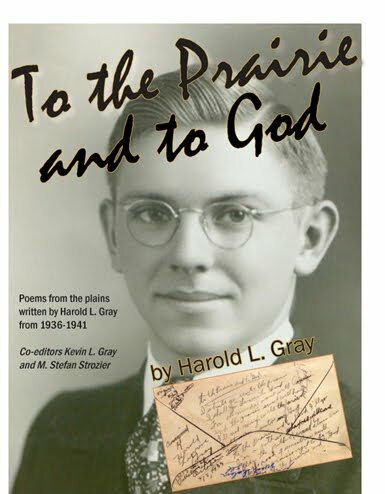 Yet, Harold L. Gray was a young man aware of his place in the Great Depression and Pre-World War II years. 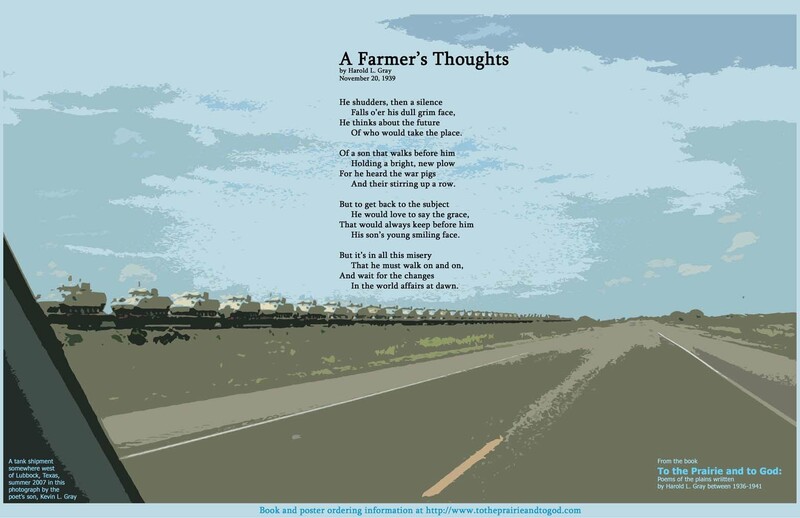 His poetry captures both a youthful optimisim (even in those times having come from a dusty farm) to an unmistakable clarity about his own mortality. 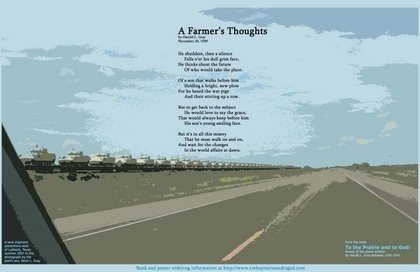 Posters are all 11 X 17 and may be purchased for $8.00. 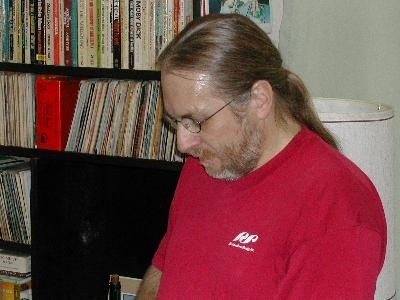 Checks or postal money orders made out to Kevin Gray will be accepted. 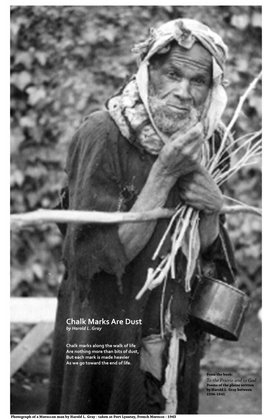 Checks may take longer to clear your bank. The $8 also includes cost of mailing and shipping in sturdy mailer tubes. 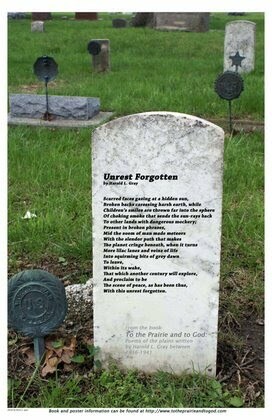 PayPal may be the most convenient way to pay. 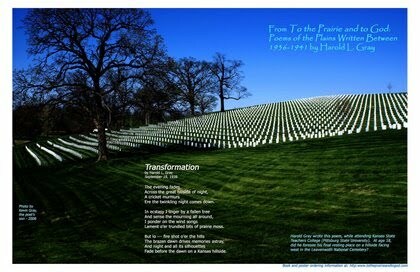 Contact Kevin Gray about this. Call 1-913-731-0030 between 8 am and 5 pm 7-days a week. 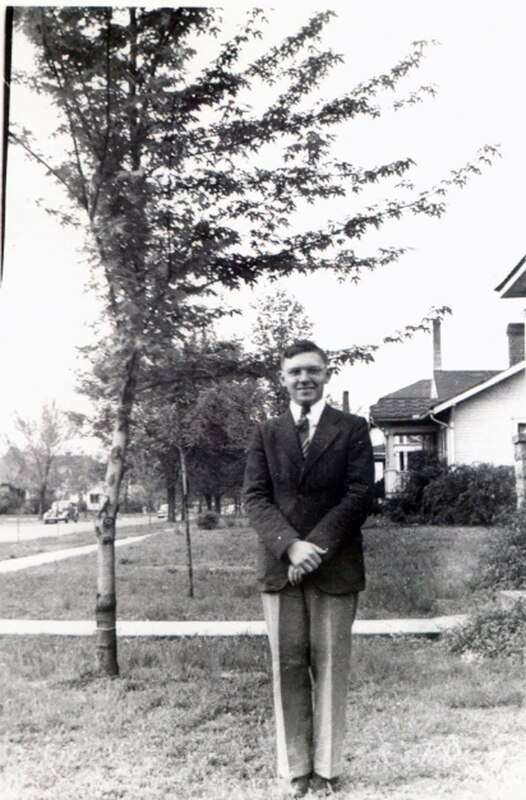 Harold L. Gray, approximately 1937 in West Salem, Illinois, before leaving for Kansas State Teachers College in Pittsburg, Kansas in 1938, where the majority of his poems were written, specifically about the prairie, Kansas, and nature. 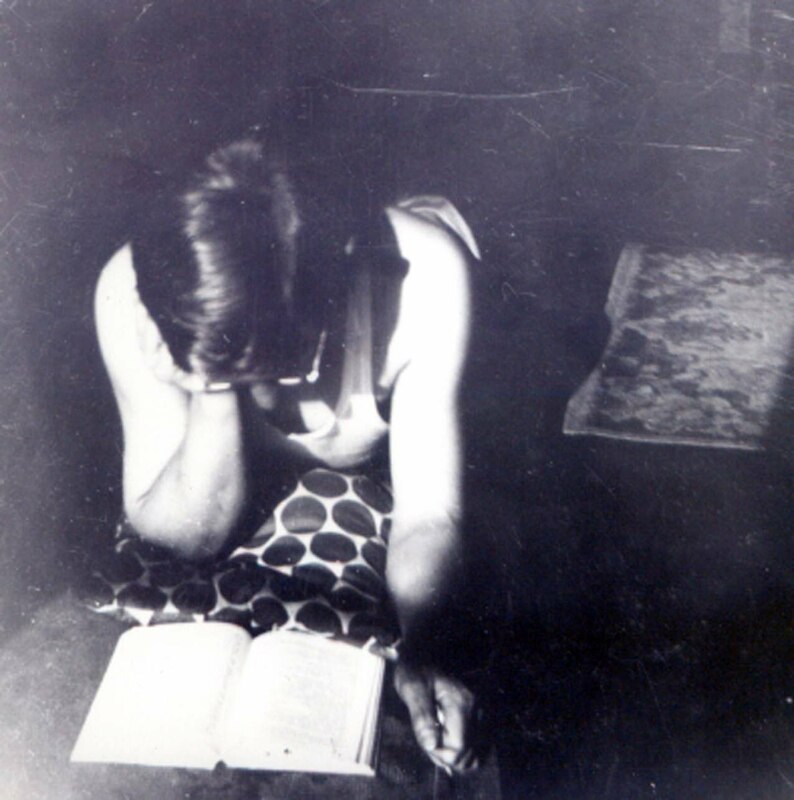 Dad at 1921 South Elm in Pittsburg, where he wrote most of his over 200 poems. 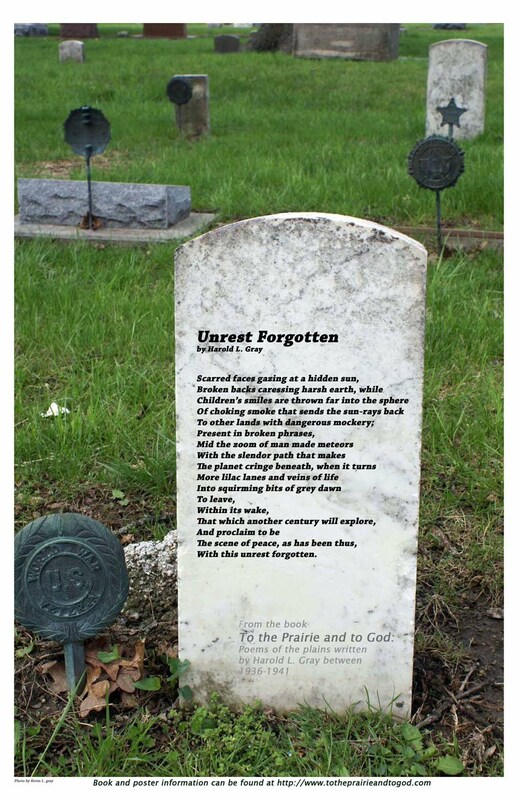 Writing poetry and reading appeared to have occupied his time during those post Great Depression years and pre-World War II build up years. 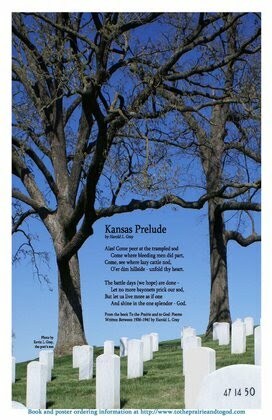 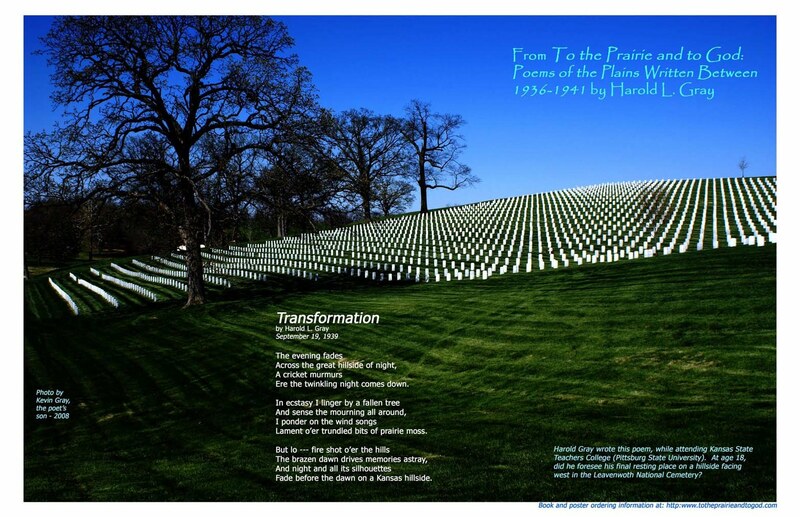 "The battle days (we hope) are done/Let no more bayonets prick our sod" in "Kansas Prelude. 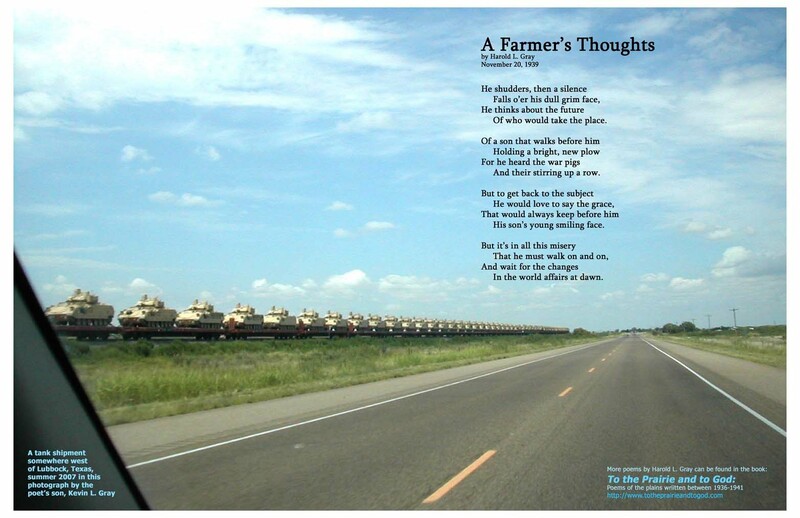 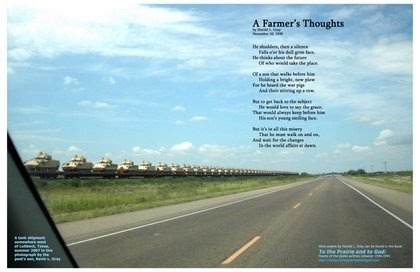 In "A Farmer's Thoughts," he wrote, "For he heard the war pigs/And their stirring up a row." 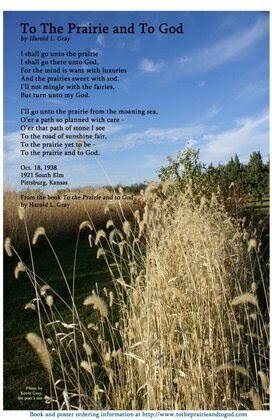 The poet's son and photographer, Kevin L. Gray, in his study in Paola, Kansas.